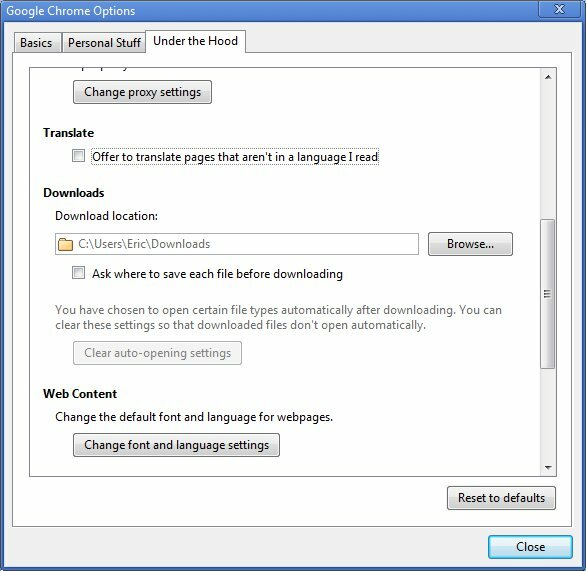 Google Chrome's built-in translation bar helps you read more of the Web, regardless of the language of the web page. The bar is enabled by default and is available for 52 languages. Click the wrench icon on the browser toolbar. Mac users: If you don't see the wrench icon, go to the menu bar at the top of your screen and click Chrome. Deselect the "Offer to translate pages that aren't in a language I read" checkbox.